Our team has spent many years studying, working and advising in the fields of organizational development, business management, business ethics, personal development, spiritual direction, and the arts. All of us have Christian spirituality and practice as our core path, and we have also been enriched by wisdom from other religious, philosophical, psychological and humanistic traditions. Leng Leroy Lim has been an executive coach and trusted advisor to senior leaders of global organizations for the last 15 years, working in a wide range of industries throughout Asia, America and Europe. His focus is to help leaders both achieve profitability and take responsibility for forming purposeful organizations that understand their duty to contribute to the wellbeing of wider communities and our interconnected planet as a whole. Clients have included executives and senior leaders at PricewaterhouseCoopers, Rockwell Automation, Prudential Insurance, UNICEF, The World Economic Forum, and the National University of Singapore. He is a coach at the INSEAD Business School and works with executives from scores of countries and industries. In addition, he supervises aspiring consultants in its Executive Masters in Coaching and Consulting for Change degree program. Leng has been an ordained Episcopal (Anglican) priest for the last 22 years, and served for several years in inner-city ministry in Los Angeles before heading to Harvard Business School where he earned his MBA. Born in Singapore, his life as a committed Christian began at age 13 when he responded to the preaching of the gospel at an evangelical rally. His early formation was in conservative ‘charismatic’ Anglican churches that emphasized religious experience, but coming out as a gay man meant moving on to a more progressive context for his Christian journey. He went on to pursue theological studies and prepare for the ordained ministry at Union Theological Seminary (New York) and Harvard Divinity School, where he expanded his religious commitment and vision through the exploration of liberation theology and the progressive social gospel. His own development has also been nourished by an 18 year practice of Vipassana meditation in the Buddhist tradition, and also by drawing from a range of spiritual teachers and traditions outside of the Christian Church. However, his first love and primary expression of commitment to God, as revealed in the Gospels and in the Christian mystics, is witnessing to Jesus Christ. From a Christian perspective his personal mission in life is, as a renowned early theologian, St Irenaeus, put it, to be a friend of God—and out of that friendship to befriend what is unlovable, cast aside, misunderstood, so as to bring about the reconciliation of souls and communities to God. This is linked to the Buddhist call to relieve the suffering of sentient beings, and the Jewish sense of vocation to help repair the world, in Hebrew, tikkun olam. Leng is a partner at the Mindkind Institute, a coaching and advisory company focused on mindful leadership and organizational change. He co-founded SEALNET, a 12 year-old international non-profit that mentors Southeast Asian young adults to become citizen leaders. He is married to Dr. Home Nguyen, and resides in New York. Arjan is an entrepreneur and leadership coach with a unique track record in both CEO and HR Leadership roles. Arjan currently supports the boards of a number of fast-growing food and fashion companies in the UK, the Netherlands and the USA, and chairs the board of a technology company in Belgium. He is a co-owner of a food brand in the Netherlands with exports to the USA. He was the CEO for Unilever in East Europe and before that the senior VP for Global HR in Unilever. Between 2006 and 2016 Arjan was based in London and Vienna, and among other roles worked as executive coach with CEO's and board members of large global organisations. Arjan’s work with senior teams and executives aims at transforming their business and personal performance by aligning their Purpose, Values and Strategy at all levels of their organization. Arjan works with a holistic approach, attending to the emotional, spiritual and physical aspects of well-being as the base for sustainable personal performance. Arjan is Dutch. He studied theology at Utrecht State University, majoring in Pastoral Psychology, and completed his thesis during his tenure as a Visiting Fellow at Emory University, GA. He also completed an MBA in the UK while working for Shell in Aberdeen, Scotland. Arjan draws on his own Christian background in his coaching work: “Twenty centuries of Christian reflection provide rich resources to help me be a better coach. This often includes spirituality: dealing with the questions of meaning and purpose in people’s lives.” He says: “I come from a conservative Dutch reformed background. During my studies I focused on people’s religious experience, focusing on how their faith and its structure develop over time.” He also pursued studies in Judaism with Rabbi Yehuda Ashkenazi, learning Hebrew, Greek and Latin to read the original texts. His major thesis explored the use of rhetoric by the renowned 19th century Danish philosopher and theologian, Soren Kiergaard. Arjan has contributed to and taught both undergraduate and MBA students at Georgia Tech and Harvard Business School, in the MBA program at Erasmus University in Rotterdam, and lectured widely on strategy and leadership. Arjan served on the board of the Society of Organisational Learning (SOL) and sits on the European advisory board of Human Rights Watch. He and his wife Mary Jo, a registered dietician and nutritionist, have lived with their two daughters in over six countries: since 2016 they have been alternating between residences in the Netherlands and Pennsylvania, USA. Judith is an independent consultant and executive coach with more than 30 years of experience in leadership and consulting, including 13 years as a Human Resources executive with two major corporations. Experienced in a wide variety of fields including finance, energy, pharmaceutical, fashion, publishing, environmental services and entertainment, Judith was formerly adjunct faculty at Theseus International Management Institute in France, DIEU in Brussels and for IMD in Lausanne, Switzerland. Judith’s early singing forays in church later matured into jazz during her college years and was noticed by Stan Kenton, who presented her at the Villanova Jazz Festival. Nevertheless, she went into the corporate world, but at the height of her career, left it behind and began a second professional life as a jazz vocalist in Southern California, earning rave reviews from local critics. She appeared in concert as well as in jazz clubs and festivals in the US, and then moved to Europe. “ One would place her more appropriately between Sarah Vaughn, for her boldness of melody and rhythm, and Shirley Horn, for an impressive art of silence that knows so well how to glide between the notes...Judith Lorick navigates with sensuality through unexpected improvisations, just this side of perfection." 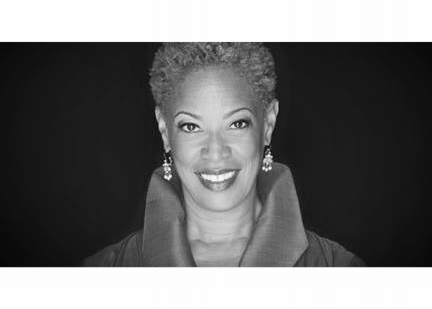 A native of Philadephia, and now recently returned to New York City, Judith is bi-vocational: working with global executives as coach and facilitator, and also as a musician. She will release her new CD, “The Second Time Around”, which tells the story of the man who is the love of her life, and who brought her home. Daniel Simons is an Episcopal priest serving as Director of Spiritual Formation at the Trinity Retreat Center in West Cornwall, Connecticut, and has served on the clergy staff of Trinity Church, Wall Street for the past 10 years. He has over 20 years of specialized ministry in spiritual formation, intentional community, and pilgrimage. Adriene earned her Master of Divinity degree from the Pacific School of Religion in Berkeley, Calif., and completed her post-graduate studies in pastoral care and counseling at The Blanton-Peale Institute. She is a certified life coach and disaster chaplain. Her background in the performing arts includes performance credits with The Dance Theatre of Harlem, The Metropolitan Opera, and the world-famous Radio City Rockettes among others. The Rev. Dr. Charles McCollough, M.Div., PhD. Charles McCollough has been sculpting for 40 years while pursuing his vocation as an ordained minister, activist, author, and teacher in the United Church of Christ (UCC). He works in ceramic, bronze, and wood and frequently lectures on art, theology, and social justice issues. His extensive travels, theological training, and personal faith enhance his unique perspective as an artist, and the images that he creates expand the verbal and written interpretations of Christian faith. He has exhibited in many one-person and juried shows in places such as New York; Boston; Washington, DC; Seattle; Princeton; Prague, Czech Republic; Sydney and Melbourne, Australia; and numerous cities in Germany. While artist-in-residence at five seminaries: Wesley in DC, Eden in St. Louis, New Brunswick in New Jersey, Andover Newton in Boston, and Drew University in Madison, NJ; and churches in Boulder and Seattle, he taught ethics, sculpted, and lectured. Charles believes that the joy of creativity requires more than words to express the mysterious depths of delight and sorrow in human experience. Words alone cannot say all of what we feel about love, loss, death, wonder, and awe. He sculpts to express what we feel when words alone cannot say it. His sculptures are figurative and symbolic ways of communicating about the edges of human experience. His work might be called religious or humanistic or political, but he doesn’t draw boundaries among these areas. They are all united in that mystery beyond words. A graduate of the University of Texas, Charles earned his M.Div. at Perkins School of Theology and his Ph.D. in Philosophical Theology at Drew University and then became the Teaching Minister at Barrington Congregational Church in Rhode Island. From there he served as the Secretary for Adult Education at the national office of the UCC, lecturing, editing curricula, leading workshops all over the United States and abroad, and writing books. Then he became a policy advocate in Washington, D.C. for the UCC for peace and justice issues, such as the rights of indigenous people, issues of military spending, non-violent resistance, and the environment. At the same time, Charles pursued his love and talent for art, studying sculpture at the Pennsylvania Academy of Fine Arts, Johnson Atelier, the Princeton Art Association, and Mercer College. He is the author of eight books dealing with adult education, social justice, and using art to communicate the Gospel. Since retirement he and his wife Carol have travelled extensively throughout the U.S. and abroad giving multi-media presentations utilizing images of Charles’ sculptures of biblical stories.